For deep concealment for a secondary weapon, working undercover or just off-duty, this is the ideal choice. 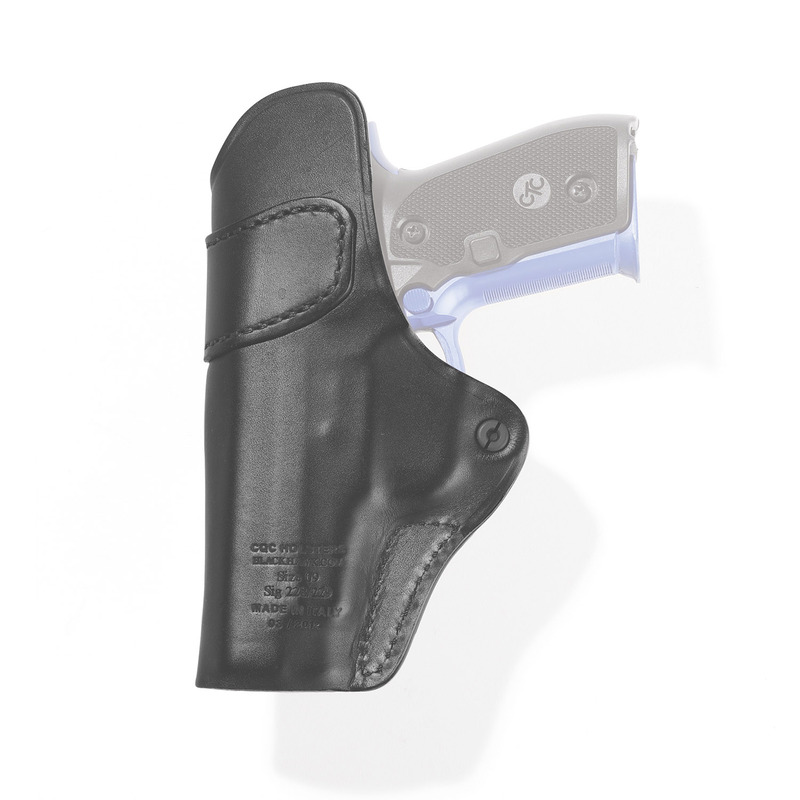 Features a shirt guard to keep leather between the slide and your body, to increase comfort and prevent shirt from blocking holster. 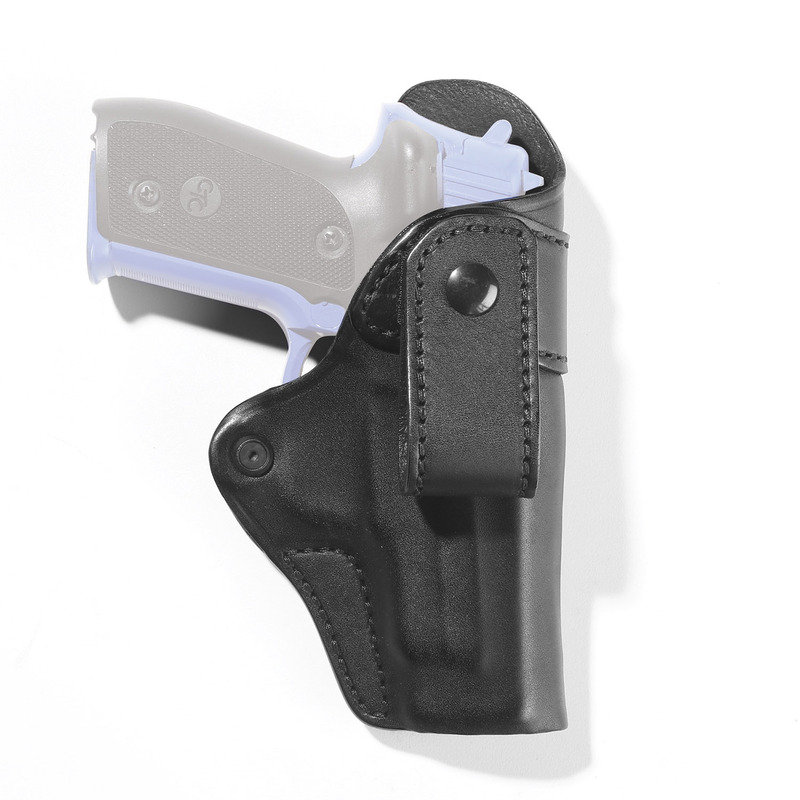 Angle-adjustable belt loop is mounted to reinforced upper body for stability and allows use for middle-of-the-back, strong side, appendix or cross-draw carry. Adjustable tension-screw gives you the choice on level of retention.